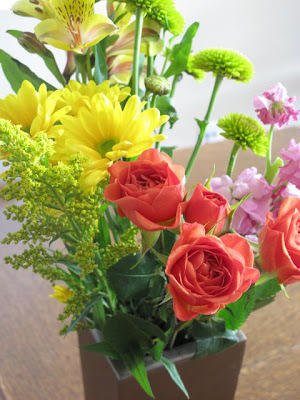 Above: $3.99 flowers from Trader Joe's -- they make me happy. You had us beat today! 60's and rainy down here!! I remember loving those days!